Alloy A286 Stainless Steel is an age-hardenable, iron-based Super Alloy which is useful for high strength and corrosion resistance up to 1300 Degree Fahrenheit and for lower stress applications at higher temperatures. A286 has high strength from 320 F up to 1000 F long time, 1300~1500 F Short time. Jet engines, superchargers, missile components, fasteners, cryogenic equipment, nuclear, corrosive deep well hardware, aircraft and industrial gas turbine, super-charger components, jet engines blades, wheels, castings, frames, fasteners, sockets, flange nuts, screws, afterburner parts. 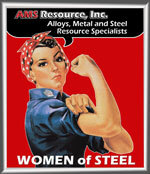 ASTM A-638 BARS, FORGINGS & FORGING STOCK FOR HIGH TEMP.SERV.